It seems as though we cannot come up with a standard for unlocking our smartphones. We have gone from simple pin codes and passwords, to fingerprint sensors and even iris scanners. Now Amazon wants to use your ears as a means of authentication, but there’s more to the plan than simple unlocking. 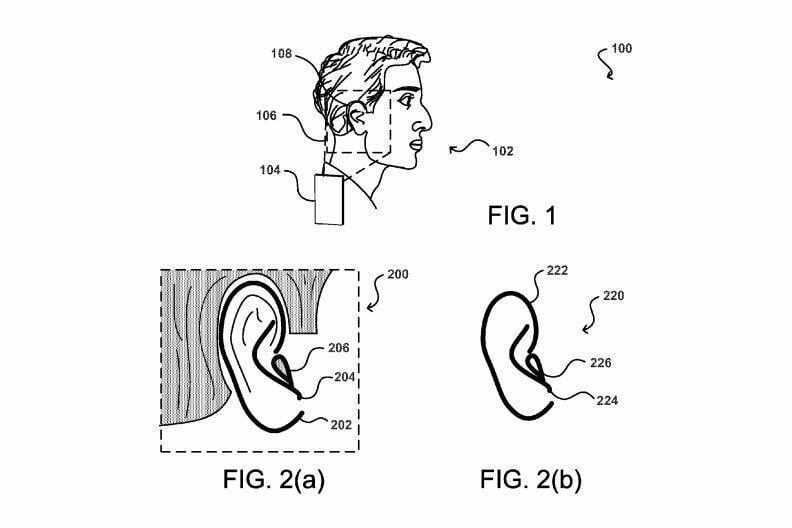 According to the patent filing, users will capture images of both of their ears using the front-facing camera and store them in a personal profile on their smartphone. 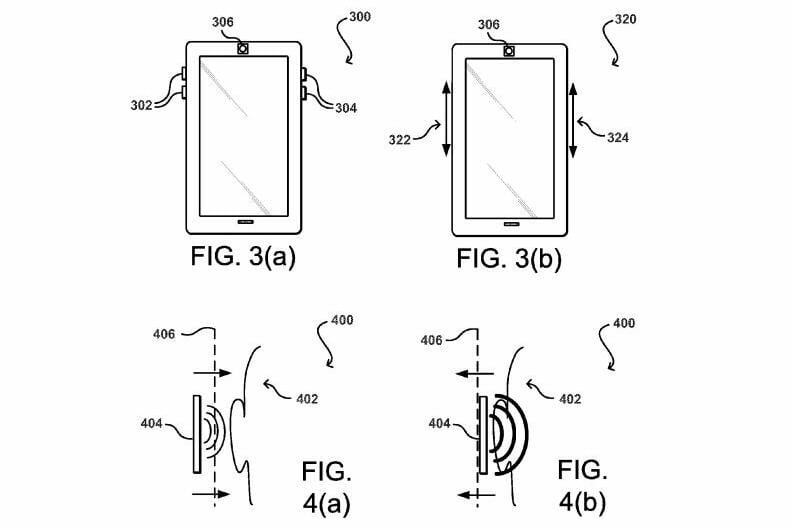 The phone will then use the sensors on the device to determine if the user is moving the phone towards one of their ears. If so, two images at different angles of the ear will be captured using the front-facing camera to determine if the person is a user of the phone by matching the newly captured images to the user’s saved profile images. Your ears could be used as means of authentication in that either one would unlock the device the same way a pin code or fingerprint does with today’s smartphones. Unlocking is only part of the plan, as Amazon wants to personalize the device to match the user’s needs. For example, if a user is holding the phone near his or her left ear, the assumption is that the user is holding it with his or her left hand. This would mean that they are likely to want to use the thumb of that hand in a particular area of the display, and onscreen input buttons could be moved accordingly. Using ears to unlock a device doesn’t appear all that useful in many cases, however, since users would need to hold their phones up to their ear each time they want to unlock it. Using fingerprint and eye scanners are much easier, since the user can keep the phone in the position in which they normally use it, while unlocking the device. The use of ears could be useful for unlocking the device when a call is incoming, but most phones allow calls to be answered even when the phone is locked. It’s also unlikely a call will be coming in the exact moment the user wants to unlock the phone, not to mention that many people are using Bluetooth hands-free headsets these days for calls. However, Amazon might be onto something with the personalization aspect. Shifting onscreen input buttons depending on how the user is holding the phone does make sense for better one-handed use on larger phones. There could even be a lot more functions that we aren’t thinking about, but it should be noted that this type of personalization could be done with a fingerprint scanner as well. For example, if a user uses their left thumb to unlock the phone, then it’s assumed they are using their left hand for one-handed use and onscreen input buttons could be shifted accordingly. Or, there could be a software fix, such as a mode for lefties, that moves all the buttons to the user’s preferred side. The concept of using an ear to unlock a smartphone isn’t new. It was revealed in April that Yahoo was developing something similar, but that version uses the entire touchscreen display instead of the camera to scan the user’s ear. It’s also not clear whether Yahoo plans on personalizing devices the same way Amazon does. At this point, we don’t know if Amazon will ever offer this technology in a future smartphone, but it’s unlikely that it will excite consumers much more than Dynamic Perspective did on the first Fire Phone.